Harvard law professor and historian to speak as part of Black History Month observance. HOUSTON (Feb. 7, 2019) — A Harvard Law School professor and Pulitzer Prize winning historian will discuss the relationship between symbols of the Confederacy and racial bias Feb. 14 in observance of Black History Month at the University of Houston Law Center. 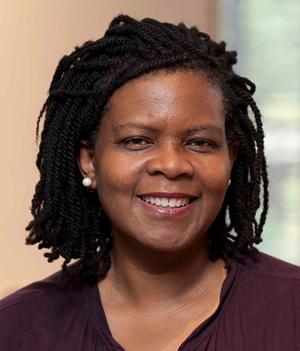 Annette Gordon-Reed, the Charles Warren Professor of American Legal History at Harvard Law School and Professor of History at Harvard University, is the second lecturer in the Spring Distinguished Speaker Series hosted by UH Law Center Dean Leonard M. Baynes. Her topic is titled: "Confederate Iconography and Its Relationship to Implicit and Explicit Bias." Gordon-Reed won the Pulitzer Prize in History in 2009 for "The Hemingses of Monticello: An American Family," a subject she had previously written about in "Thomas Jefferson and Sally Hemings: An American Controversy." She is also the author of "Andrew Johnson," and most recently published, with Peter S. Onuf, "Most Blessed of the Patriarchs: Thomas Jefferson and the Empire of the Imagination." Her honors include a fellowship from the Dorothy and Lewis B. Cullman Center for Scholars and Writers at the New York Public Library, a Guggenheim Fellowship in the humanities, a MacArthur Fellowship, the National Humanities Medal, the National Book Award, and the Woman of Power & Influence Award from the National Organization for Women in New York City. She was elected a fellow of the American Academy of Arts and Sciences in 2011 and is a member of the Academy's Commission on the Humanities and Social Sciences. The lecture, co-sponsored by Houston Public Media, will be from 4:00 p.m. to 5:15 p.m., Feb. 14, at the University of Houston Law Center, 4604 Calhoun. Click here to register. Attorneys will earn 1 hour of CLE credit. The inaugural speaker in the series was Randall M. Ebner, vice-president and general counsel of ExxonMobil Corp. Future speakers include Archibald R. Murray Professor of Law Tanya Kateri Hernandez at Fordham University School of Law, and Anita Hill, professor of Social Policy, Law, and Women's, Gender and Sexuality Studies at Brandeis University. Media contacts: Carrie Anna Criado, UH Law Center Assistant Dean of Communications and Marketing, 713-743-2184, cacriado@central.uh.edu; Elena Hawthorne, Assistant Director of Communications and Marketing, 713-743-1125, ehawthor@central.uh.edu; John T. Kling, Communications Manager, 713-743-8298, jtkling@central.uh.edu; and John Brannen, Senior Writer, 713-743-3055, jtbranne@central.uh.edu.